It’s Guest Blog Wednesday featuring Bill Wadman! If you decide to read about portrait photography, you'll find a lot about cameras, lenses, lighting setups, and tricks. Most of that misses the most important ingredient of all — your relationship with the subject, so frequently overlooked yet just as important as the technical mumbo-jumbo. I was going to call this post "Why I Use Wide-Angle Lenses and Get Up In People's Faces," but thought better of it because there's so much more involved. For me, meeting and talking to my subjects during a shoot is a big reason why I love taking portraits. The camera settings and technical considerations melt away (or, more often, are left to muscle memory), and it becomes two new friends getting to know each other. Since taking portraits is an active process, "taking" doesn't adequately describe what happens. It's collaborative, and when it's really going well, I liken it to a dance. You need to allow me to take a good picture as much as I need to want to take it. Read that last sentence again — it's important. That said, every subject is different, but that's what makes it interesting. I've had people who trusted me fully upon walking in the door and others who took hours before I got anything that I liked out of them. Sometimes you have to wear them down with kindness. Keep shooting and talking until you get to the point where you're just talking and one of you happens to have a camera. That's when things really work. Preparation is critical, of course, but so is thinking on your feet. Being empathetic toward your subject is a big part of it, especially with people who don't get their picture taken very often. You have to make it not feel like they're sitting on the cold crinkly paper of the exam table at their doctor's office. Sometimes, good preparation is enough. I was assigned to shoot Charlie Maxwell for BusinessWeek. Charlie's an oil analyst who has been in the business since the 50s — basically as long as the oil business has been the oil business. So as for most of my editorial assignments, I did extensive research the night before. I learned everything I could about current reserves, recent discoveries, peak oil, and so forth. When I got to his house outside NYC and started to shoot, I wasn't talking to him about the weather. I was talking to him about a recent find in Kazakhstan and what it meant for Saudi Arabia and the oil sands of Canada. I was talking to him about the one thing he knows more about than almost anyone else, and the fact that I had obviously done my research made him respect me in kind. Things went so well that he invited me and my assistant to the back lawn for lemonade with his wife afterwards and gave us a ride back to the train station when we were done. Memorable. Other times, it's not about anything you can prepare for, but just knowing how to turn someone around in the moment. On one my first magazine shoots, my subject was author Jhump Lahiri. I was really nervous already, but then she was late, which ate into the time I had to work. Apparently there were some politics going on, and they weren't sure if she was going to show up at all — but no one told me any of that until we were in the thick of it. She arrived 45 minutes late, spent 30 minutes in hair and makeup, put on a pretty dress, and then was ready. She was nice and polite, but not yet invested in what we were doing. I knew I'd have to wear her down a bit if I was going to get the kind of connection I needed. As we began shooting I asked (as I often do) if she liked getting her portrait taken. "Sometimes," she responded. "It's the photographers, isn't it?" I said. She rolled her eyes slightly, and I'd found my way in. Later I moved us into a corner of the huge studio away from the magazine staff, so we could work more intimately. I was up on a chair shooting down next to a big octabox and said to my assistant on the floor (within obvious earshot of the subject), "You know, Meg, I don't care what these pictures look like as long as SHE says I was one of the good photographers." That brought a big smile from Jhumpa and I thought, "Ah ha! Got her!" She immediately loosened up and the rest of the shoot went swimmingly. Afterward, she pulled me aside to shake my hand and assure me that I was one of the good ones. Every once in a while, you have to look like you're in complete control even as problems pop up like whack-a-mole. A few years ago, I was hired by TIME magazine to shoot author Malcolm Gladwell in a small studio in their offices in midtown Manhattan. Since the Time-Life building has airport-like security, I put my camera bag down on the x-ray machine, walked through the metal detector, and picked it up on the other side. However, I'd apparently forgotten to secure the flap on the bag and my 50mm prime fell three feet onto the concrete floor. BANG! I cringed, but upon inspection it looked ok and I figured, "hey, that happens — it'll be fine." About 40 minutes later, I'm shooting Malcolm with the only other lens I'd brought — a 28mm prime. I stand up and walk back to the table to switch lenses, chatting as I work (as an aside, I like the break that happens for a few seconds when I change lenses — it's kind of like the period at the end of a sentence and helps control the tempo of a shoot). I put on the 50, pull it up to my eye, half-press to focus, and the gearing in the lens makes an ugly grinding noise and seizes up. But — never let â˜em see you sweat — so I half-mumbled a comment that the wide-angle suited him better and quickly switched back, shooting the whole thing wide-angle. I'm just glad that the camera I was using had enough pixels that I could crop it in post and still get what I was looking for. Sometimes it's all about getting your subject on board with a concept, which is ultimately all about trust. I came up with the idea of shooting comedian Dave Hill rocking so hard on stage that sparks were flying out of his guitar. He loved the idea, but since I didn't have a stage to shoot him on or the budget to get one, I planned to piece the whole thing together in post. The shoot involved him silently mock-rocking on his knees on top of the coffee table in my living room with a roll of gray seamless behind him. That's trust. Other times, the trust has to go the other way as well. I was in a hotel room in Austin taking portraits of magician Brian Brushwood, and he was lighting small fires on the room service plate in front on him. But since he literally wrote the book on fire eating, I had to believe that we weren't going to burn the place down. That's also trust. One last example is personal. Last Christmas, we had a table full of friends over for dinner. Before dessert was rolled out, I told the group that I'd like them to be in a photo I had in mind. I'd always loved the Caravaggio painting The Calling of St Matthew and wanted to do a little bit of a homage for fun. To my surprise, instead of sighing and trying to get out of it, everyone started working together to choose their places and throw together props to make it even better. It ended up being one of the best group photographic experiences I've ever had. I set up one light, we shot a couple dozen variations, and 20 minutes later we were done. So, sure, cameras and lenses and lights and business practices are important, but they're not going to make good pictures of people into great portraits. You and the subject have to do that — together. My two cents. If you'd like to hear more behind-the-scenes stories and before/after composite comparisons, check out my hour long lecture The Making of Drabbles on Vimeo. Bill Wadman is an American portrait photographer living in New York City. His editorial portrait work has been featured on the covers and pages of major publications throughout the world. Bill also appears weekly as the co-host of On Taking Pictures, a podcast on the 5by5 network about the art and science of photography and the creative process. See his work at BillWadman.com, read his blog at OnTakingPictures.com, and follow him on Twitter @billwadman. Great stuff! I’ll check out that podcast. I’m a big lover of podcasts as I listen to them every week while traveling to shoot (usually in the Smokies). It’s much better than listening to News or the same songs over and over. Great post with great advice. 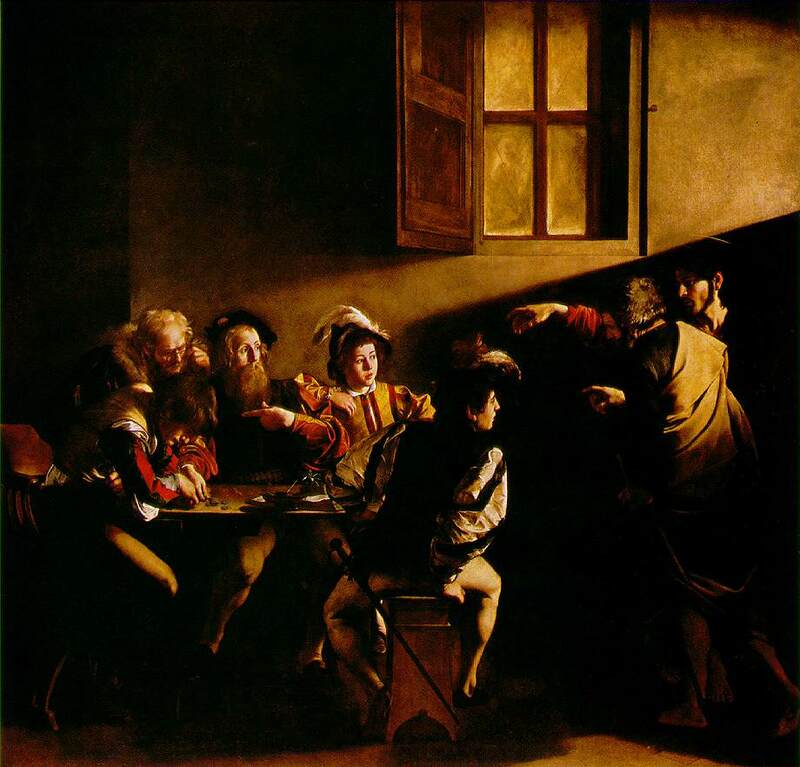 Love the Caravaggio homage…..
Nice post. Well thought out. Sometimes I think the hardest part of shooting a portrait is the connection between the photographer and the subject. I think I need to loosen up a bit…maybe try making small talk with strangers in non-photography situations for the experience. Thanks for the perspective Bill.